When will be Good Person next episode air date? Is Good Person renewed or cancelled? Where to countdown Good Person air dates? Is Good Person worth watching? When Yoon Jung Won is betrayed by family and friends who she completely trusted, the realization that humans are cruel dawns upon her. 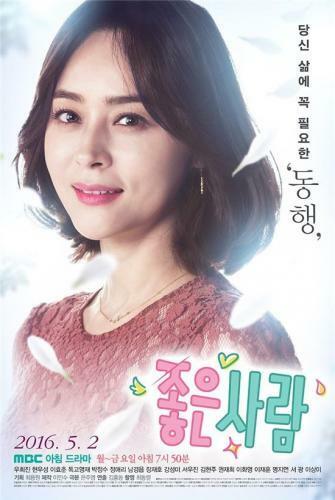 This show revolves around an insurance planner who is framed for a crime that she did not commit and tries to find justice after serving out her sentence in prison. There is a message of hope in the story in that while pain is inflicted on her by people around her, she eventually finds comfort and assistance from new people she encounters later. Good Person next episode air date provides TVMaze for you. EpisoDate.com is your TV show guide to Countdown Good Person Episode Air Dates and to stay in touch with Good Person next episode Air Date and your others favorite TV Shows. Add the shows you like to a "Watchlist" and let the site take it from there.